So. I had a swap idea that didn’t make the convention. I’m sure it felt super lonely. I just ran out of time. And since one of my swaps got cancelled, I just didn’t need it. But it was a good little swap…. The thing I like about the floral framelits… well…. framelits… is that you can cut holes where you want. So infused it to cut the center out. 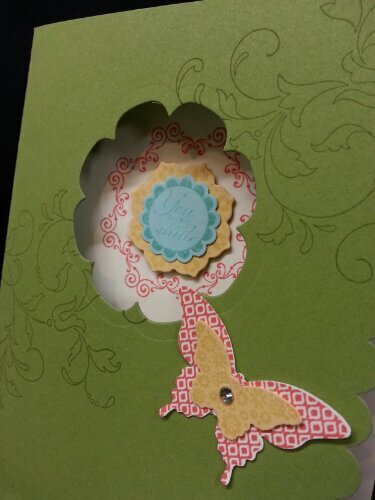 And I used the daydream medallion sets in the cut out. 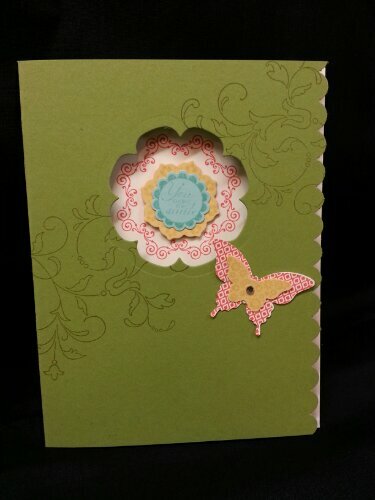 The swirls on the outside come from the Creative Elements stamp set and the sentiment is from A Round Array. Butterflies come from Papillon Potpourri… which btw is on sale this month…. 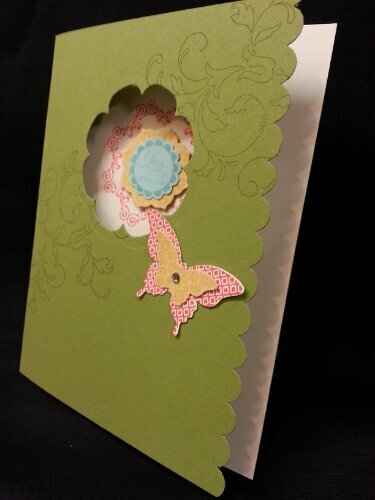 stamp set and matching punch is 15% off! And one final view of the front. So sad for the not-a-swap. But I still like it. 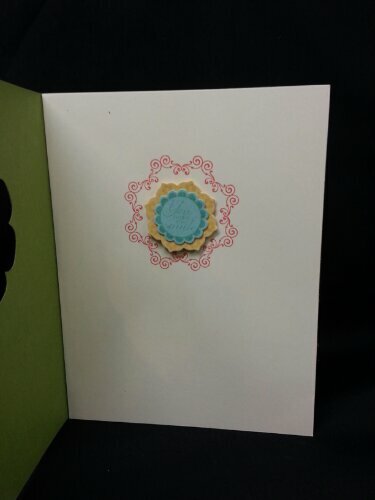 This means it will be a card that gets sent to someone special. Which is a more noble calling….